When you read through your social media streams, you are able to find warmth and fuzziness everywhere. It is often lovely. There is an endless stream of motivational quotes, uplifting memes, pictures of cuteness and much more besides. However, as we all know, life is not always warm and fuzzy. Here in the UK in the past couple of weeks, we have seen that sometimes, life can be nasty and ugly! Sometimes, life can feel like a great big bully that corners us and hits us with punch after punch. Sometimes, that is reality and we may need to learn how to roll with those punches. That is what today’s article is all about. Similarly, we are human and cannot always just shut off our emotions like a light switch. Of course, we can control them, but on occasions we can let aspects of life get the better of us. When life knocks you down, and it will if you are doing it right, it is not necessarily about what or why you got knocked down but more often, it is about how you get back up. If life has never knocked you down then maybe you need to stop being so careful and start taking some risks. Doing so can be exhilarating. You build character, strength, and life stories by getting back up after being knocked down. Everybody has different ways of getting back up, and each time is different based on your specific experience and previous lessons learned. It isn’t what the world gives you that counts – what counts is how you deal with what you get. And yes, I know, I’m becoming one of those quote laden memes myself with some of the sentences offered up here so far today! Let me cut to the chase then. Here are a number of strategies that you can use when life doesn’t go your way. It’s often the simple things in life that make all the difference. You have two choices: sit there wallowing in your self-pity and accomplish nothing, OR, find the lesson and turn this negative quickly into a positive! Finding and learning a lesson is how you immediately pull yourself up off the ground. – Learn To Enjoy Life’s Problems. – 11 Ways to Be More Optimistic and Increase Optimism. – Have Increased Optimism: Using Self-Hypnosis To Be More Optimistic. 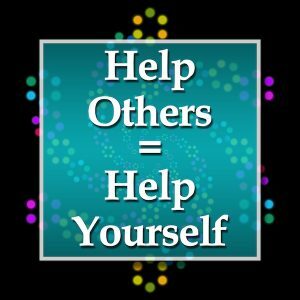 “Asking for help does not mean that we are weak or incompetent. It usually indicates an advanced level of honesty and intelligence.” – Anne Wilson Schaef. – A BIG Pep Talk Blog Entry! A Half-Year Perspective Change Manifesto. Research shows over time, you develop the eating habits, health habits and even career aspirations of those around you. Surround yourself with people you want to be and it’s far less taxing to do what you should be doing. There is something so therapeutic about teaching others. When you just got punched in the gut by life, get out and share your story. Hearing your story out loud will help you to quickly shake off the gravel and get back up! Show how you have developed and share your lessons and wisdom. It’ll help you greatly. Exercise and physical activity is one cornerstone of staying positive and productive. There really is no downside; you get fitter and stronger, you gain more energy, you look better which in turn builds your self-esteem. It’s a great social outlet and it releases the feel-good endorphins – some even refer to it as nature’s anti-depressant and whilst I might dispute that scientifically, you get the intended meaning. Spend some time in nature and/or being physically active in a way that you enjoy and you’ll be bouncing back from adversity wonderfully well and feeling stronger metaphorically and actually. “Character cannot be developed in ease and quiet. Only through experience of trial and suffering can the soul be strengthened, ambition inspired and success achieved” – Helen Keller. Believe it or not, even the most positive people get knocked down. You cannot control what other people do or say…but you can control how you react and respond! Being a positive person means that when you feel yourself getting knocked down by life, stop and find the positive in it immediately. You will never stay down if you are a positive person. The quicker you find the positive, the quicker you are up on your feet, heading for the next success. Just look at the spirit of positivity and love in the aftermath of the recent Manchester attacks, especially at the One Love concert. Just look at the spirit of the people of London following the attacks last weekend. Be resolute, love strongly, be positive. 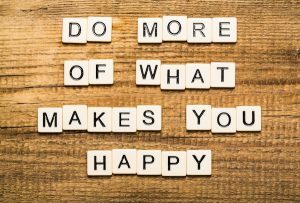 If you get energy from running, socialising, baking, exercising, studying or playing guitar, make sure you prioritise that activity. Even further, build that activity into your routine so you’re not simply relying on motivation to do it regularly. The positive energy you’ll receive from engaging in the activity is ideal for keeping your bucket replenished. – The Science of Laughter: Why Laughing is Really Good for Your Health. – How and Why You Need To Be More Playful and Childlike. When you’re moving between meetings, or catching the train home from work, do you spend this time reflecting, resting and resetting for the next activity, or is there no mental break to do this? If it feels like the latter, then you’re missing perfect opportunities to recharge your batteries. Refresh your mind by taking a break from your workflow and escaping to another world. Reading fictional stories stimulates other parts of your brain, sparking creative thought. Engaging in mindfulness, self-hypnosis or breathing exercise can help you rejuvenate. That stimulation can make your day go a little smoother by thinking differently, solving problems in abstract ways and, most importantly, rejuvenating your soul. Change the focus of your thoughts. At every minute, ask yourself – am I thinking thoughts that will help me get back up or am I thinking thoughts that keep me down. Thoughts have power behind them. Our world was created by thoughts. Your life is a direct reflection of how you think. Choose your thoughts wisely and choose the ones that will get you to the next step. Use an app, a thought form or flashcards if you need to refer to something to help shift your thoughts. – Goal-Focused Ways To Increase Mental Toughness. – How To Believe In You – 9 and a bit Ways To Advance Self-Belief. 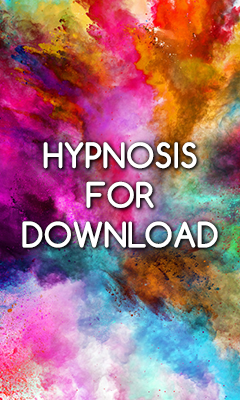 – Creating Your Superhero Alter-Ego Using Self-Hypnosis To Boost Confidence. – Solitude – The Importance of ‘Me Time’ and How It’ll Make You More Successful. Here’s the thing, if you never got knocked down, you would have no success stories. You are never defined by what knocked you down, but always defined by the character you had while getting back up! Life is meant to be lived, not to coast through unscathed. 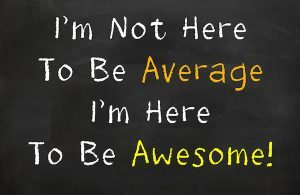 Get out and be the amazingly awesome person that you are! 1. 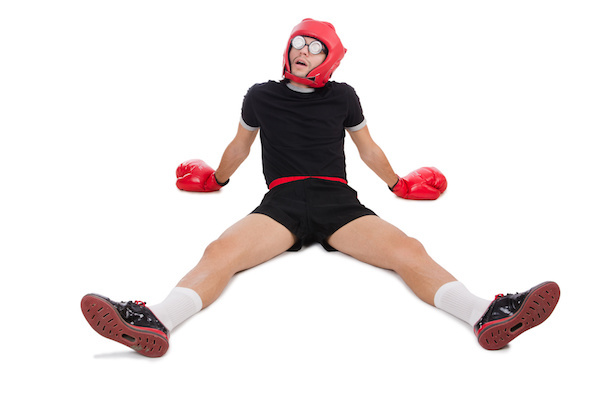 Do you need help bouncing back from being knocked down? 2. Would you like a satisfying and meaningful career as a hypnotherapist helping others bounce back from being knocked down? 3. Are you a hypnotherapist fwhose business has taken a few knock-backs and you need help getting it on the success track? Bizarre how these posts pop into my inbox on just the right day! I’m not one for making claims of cosmic coincidence Nik, but I’m delighted that the Force is working in great ways today. I hope that the posts continue to serve you well, thanks for taking the time to write and share.